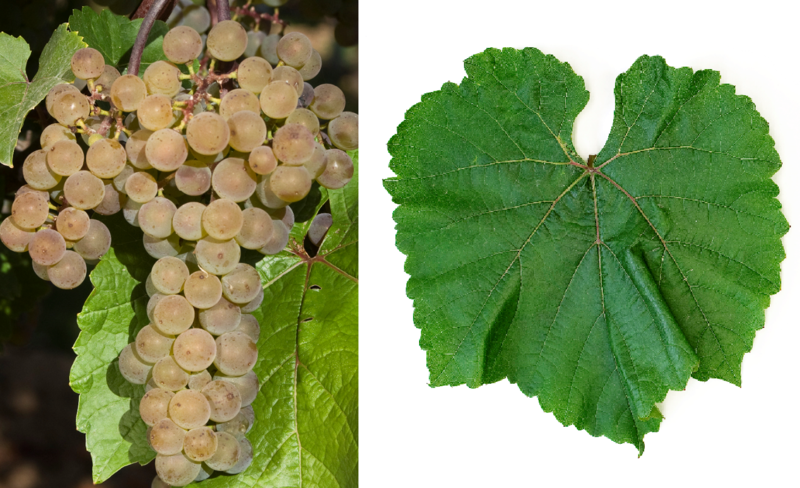 The white grape is an interspecific new breed between Cascade (Seibel 13-053) x Seyve-Villard 14-287 ( Seibel 4746 x Muscat du Moulin ). Acadie, L'Acadie, L Acadie Blanc, La Cadie, V 53261 and Vineland 53-261. They are genes of Vitis aestivalis. Vitis berlandieri. Vitis cinerea. Vitis labrusca. Vitis lincecumii. Vitis riparia. Vitis rupestris and Vitis vinifera contain. The intersection of hybrid was founded in 1953 by Ollie A. Bradt in Niagara Ontario (Canada). It was then sent to the research center in Nova Scotia, where it was named after the former French province of Acadia and parenting was clarified by Helen Fisher. The early to mid-seasoning vine is resistant to frost to minus 25 degrees Celsius and due to the looseness of against Botrytis, It produces flowery, rather low-acid white wines with honey flavors. The variety is mainly in Canada in the provinces of Quebec and Ontario, as well as in the northwest of the United States grown in some states. In 2010, however, no stocks were reported (Statistics Kym Anderson ). This page was last modified at 30 December 2018 at 09:03.